When you think of Portland, Oregon what are the first things that come to mind? Let me guess… brews, bikes, doughnuts (more specifically Voodoo and Blue Star), Pioneer Courthouse Square, the Trail Blazers, 'Portlandia'? My challenge to you this Summer is when you are in the “City of Roses” think outside of these typically touristy sights and activities. Don’t know where to start? Keep reading to find out 5 unique things you must do in PDX this Summer! I am always going to be someone who promotes getting up high when you visit a city – whether that’s up a landmark, from a park on a hill or a rooftop bar. There is nothing quite as awesome as the views you can get from above. But let’s think outside the rooftop box for a second. This is where Oregon Helicopters comes in. A relatively new company to the tour scene in Portland, they offer 10 different tours highlighting various sights and locations in the Portland Metro area. 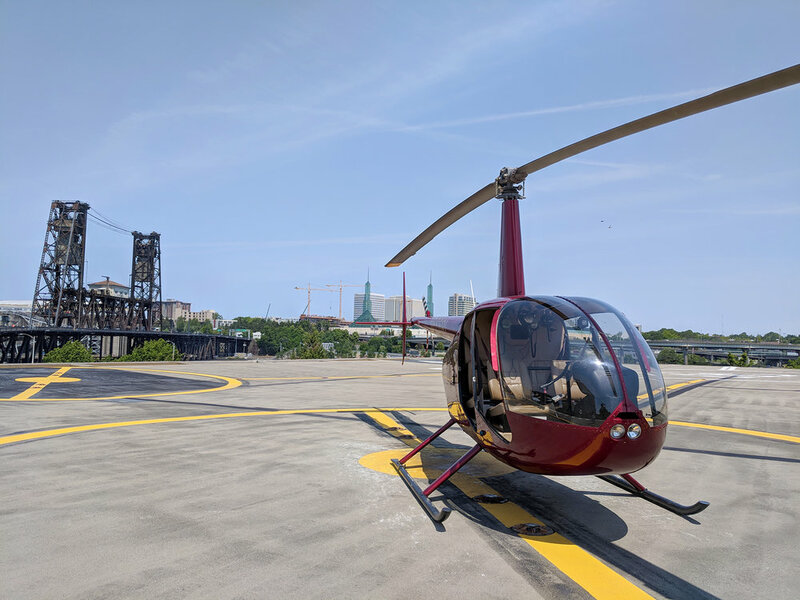 There are 10 tours that leave from the downtown Portland rooftop heliport (which is what we did), and two that depart from the Hillsboro Airport. The Hillsboro Airport is a departure location you should definitely keep your eye on because they are coming up with new and cool programs at the hangar located there! 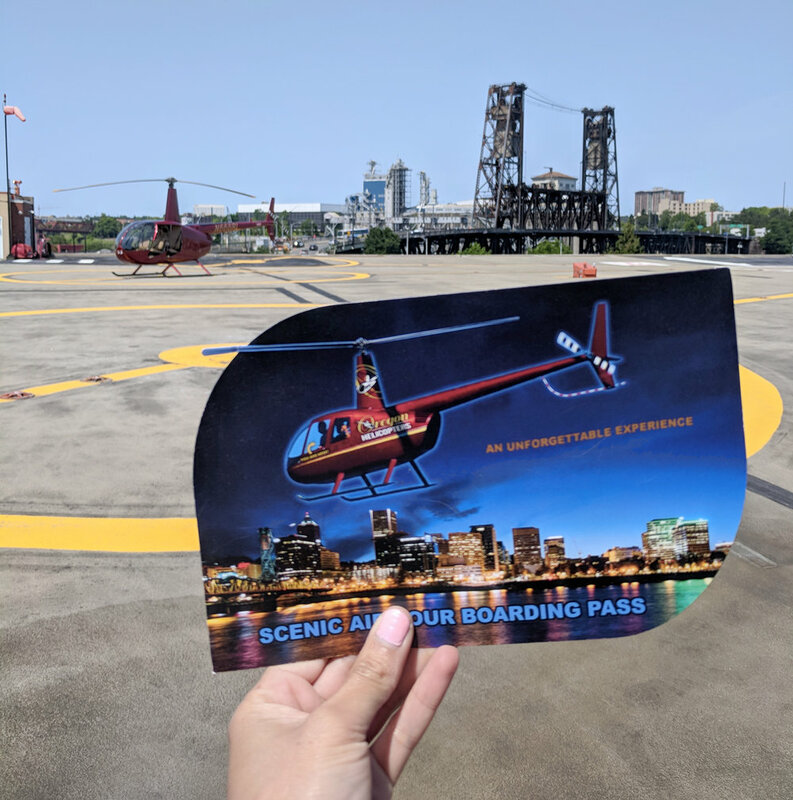 If you decide to leave from Portland, you’ll get the cool experience of seeing the skyline and Waterfront Park below you as you walk out to your helicopter on the rooftop helipad near Old Town/Chinatown. Being that I am the more adventurous type I was able to experience the Downtown Tour on a ‘doors off’ ride! You start along the Willamette River and fly over into the West Hills. Some of the views you see include the Cascade mountain range, and if the weather is super clear you can even see the Coast mountain range! 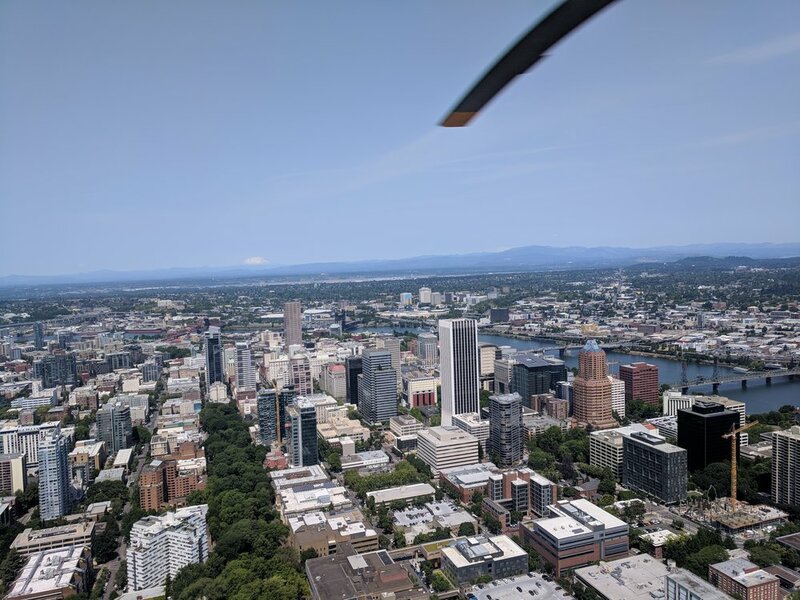 Throughout the 15-mile ride we were able to see some of Portland’s major landmarks (and really all in one view from the sky) including the St. John’s Bridge, Pittock Mansion, the Oregon Zoo, the Rose Garden, the Made in Oregon sign and so much more! After going on this circuit of the city, with the wind whipping around in our hair, I can easily say ‘doors off’ is the way to go! Prices for the tours vary but in general are all very reasonable for what you get. Our tour starts at $89. Bookings are done first come, first serve, and you can call or write them to pick your day/time. Don’t worry about having to work around a specific schedule as they are super accommodation and try to work with everyone’s requests within their current availability. To see all of the tours Oregon Helicopters offer, and their prices, click HERE! Throughout your travels you may or may not have seen those surrey type bikes on the streets with a ton of happy (and probably intoxicated) people pedaling away while their brews rest on the center bar. Confused? These things are called brew bikes and they are an activity popular in many US cities (see reference photo below). But the thing with doing this activity and being is Portland is PDX is known for its bike and beer culture, and we’re talking about 5 unique things to do. Queue BrewGroup and their awesome (and quite frankly perfect) Summer activity, BrewBarge! What is a BrewBarge? Well it’s like those bike things I referenced earlier but on a boat aka barge in the Willamette River. Our guides were super fun, informative and provided the best entertainment. To get the boat to travel along the river you have to pedal just like you were on a bike – so not only is it a fun way to see the city you even get a little exercise. How hard you pedal determines how far your ride will go. And fun fact, it’s the only pedal powered boat in Portland! I mean you are on the West Coast after all, there’s no excuse to get lazy. The cruises start in April and run for an hour and a half up and back down the Willamette. One of the best things about BrewBarge is the cruises are also BYOB so you can bring whatever snacks and beverages your heart desires! We stocked up on some healthy snacks and a selection of some of the Pacific Northwest’s best canned ciders and wines for our tour but if you want to show up with a growler feel free to do so! If you don’t want to travel to the BrewStop meeting point with all your beverages they also have refrigerators on site with a great selection. And let me tell you there are some great canned bevvies out there coming from the Portland area! DJ duties are also in the hands of the riders which is super awesome. Keep in mind there is a three beverage limit though as there are no bathrooms on board and no bathroom breaks. Each cruise can hold up to 14 people, but they need a minimum of 8 people to go out. Since it is the Summer there shouldn’t be a problem with that, but if for some reason they don’t get enough people booked up then they will call you and try to reschedule your ride. I love that these cruises are also super affordable priced at $40 per person on Fridays & Saturdays, and $35 per person Sundays through Thursdays, aka do happy hour a little differently! What’s better than a traditional beer garden? How about a beer garden that features a food truck, drinks for less than $10, mini golf, corn hole and oversized versions of Connect Four and Jenga! Starting the beginning of June this is exactly what Hotel deLuxe brings to the Southwest neighborhood with their pop up 19th Hole. Set under twinkling bulbs lights, in an area that quite frankly not a lot of people are walking around, is the perfect escape from the typical bar scene. Plus, there are enough activities, drink and food options that you could easily spend the entire afternoon there. The food truck offers an array of fun takes on typical bar food such as Mahi Mahi tacos, prime rib nachos, spicy noodle salad and street corn, and has a drink menu which features actual cans for each of the offered beverages. For someone whose super visual like I am I was all about being able to see exactly what I would be getting before committing to a beverage – which I ended up getting Shiner Strawberry Blonde for $5. Most of the games are free to play but if you do want to play mini golf it’s an extra $6. Sure the course may be smaller than you are used to but you can play as many times as you want to get that hole in one! The best way to live your best life and to be your happiest self is to take care of yourself. This isn’t just a mantra that I live out this is a proven fact – the more you take care of yourself first, the happier you will be. An easy way to do this, I think, is by going to a spa or sauna. Not only does it give you the quiet time many of us just do not get, but it also allows you to just sit, connect with your thoughts, and fully relax (body and soul). The Scandinavians know how to do this best, and it can be seen in the Finnish word Löyly (pronounced low-lu). In Finland this word also represents the ancient custom of the sauna. But what does löyly actually mean? Back in the day it meant spirit or life, but now, in general, it’s referencing the heat that comes from the sauna room – more specifically the heat that you create from throwing water on hot stones. If you head to east side of Portland, you can have your own celebration of wellbeing at Löyly Portland. Their two facilities offer an array of services including a cedar sauna, wet steam room and relaxation area. I visited the Northeast facility which is their larger location of the two, and offers two saunas and an additional wet cooling room. Not only that, the interior design is impeccable and the staff is there for all of your needs! There is no better way to disconnect for a couple hours than by cleansing, relaxing and stepping out into the day full refreshed – and also no better way to have that happiness glow on your face. The two facilities are modeled after traditional Scandinavian saunas – designed to accommodate groups of people and featuring lounges in a minimal design with wooden benches. Their massage and skincare treatment rooms are private and so comfortable you may just fall asleep during your session. From the moment you step into the lobby, check in and receive your small towel (which is called pefletti), a robe and sandals you can expect to receive the highest quality of service and a fully immersive. 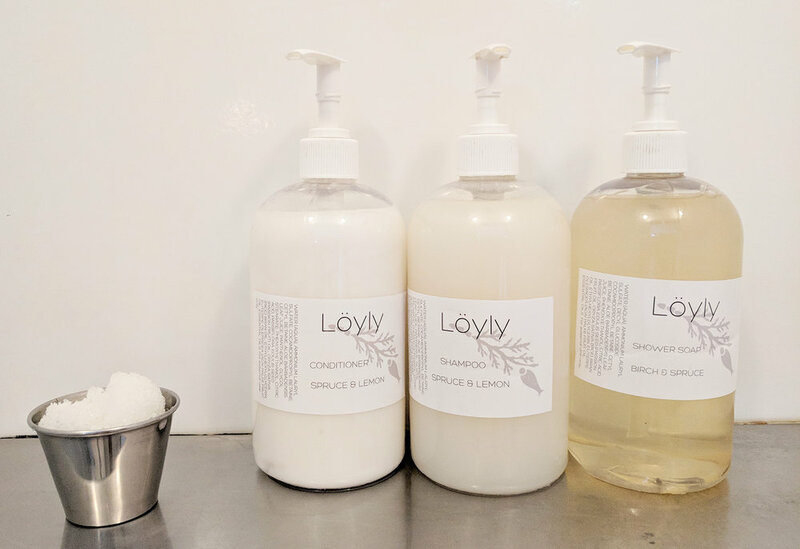 My visit to Löyly was centered around The Renewer package, which included a 45-minute massage, aromatherapy foot soak, two hours in the sauna, a single-use rejuvenating mask, complimentary sparkling water, a cup to enjoy the cleansing tea in their lounge area and a single-use body salt to end my visit. I started my visit with the massage, which also featured a tea bowl underneath the table for me to breathe in while getting massaged, and this is the way to experience a massage! Afterwards, I went into the lounge area to enjoy some tea, my foot soak and my Rejuvenating face mask, and then headed into the sauna room. Being someone who enjoys water circuits at spas the sauna session series moving between the hot sauna (which was hot but not oppressively so), cold water room and cooling benches three times was just as great. It’s recommended that you stay fully hydrated during your visit which the team has made possible and accessible by providing tea, kombucha, coconut water and sparkling water for purchase. I fully intend on hitting my reset button again with Löyly, because there really is nothing better than a little sauna, rinse, and repeat. Pricing is pretty decent for the services you get, which is all a part of Löyly’s business model. You can see all of their packages HERE, as well as their current seasonal deals. Portland's love of food is something I highlighted in a recent video, is a well-known fact, and is very apparent when you hit the streets and talk to the locals. But it seems a lot of the restaurants getting attention these days are on the east side. Based on this my suggestion is to head to the west side to NW Portland and take an evening walking tour with Lost Plate. 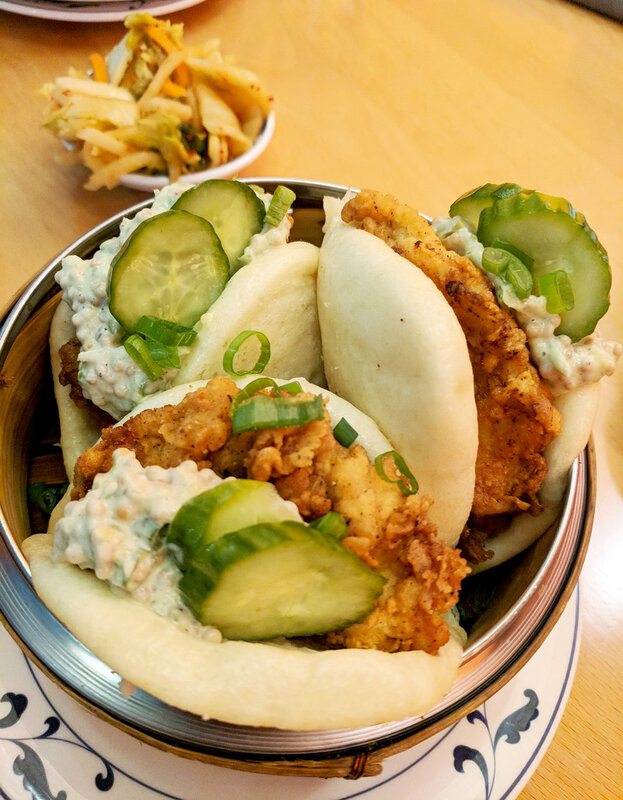 Created in China in 2014 by a brother-sister team (Michelle & Brian), Lost Plate came out of the struggle Brian had finding authentic, local food after he moved overseas, without using the help of the locals. Because that is how all of the greatest ideas start, when you can’t find a solution for something that seems so simple. Lost Plate's Portland Neighborhood Food & Drink Tour is both Portland’s only night food tour and the best way to learn about the history, culture and gastronomy of the Slabtown and Alphabet neighborhoods. When Portland was founded in 1843 the NW neighborhood was home to many lumber mills selling the ends of wood they couldn’t use from all of the trees that were cut down to build the city. These slabs were sold to residents as a source of fuel which resulted in many stacks of wood slabs outside of their houses – hence the name Slabtown. As you’re driving around the neighborhood you will notice that the streets seem to be arranged in a very specific way. You can thank Captain John Couch for this, who after settling alphabetically renamed all of the streets in the NW neighborhood after important figures in Portland’s history – resulting in the 2nd nickname, Alphabet Neighborhood. The Pinot Noir blend and rosé were my favorites – along with the Pâté and the Manchego cheese with quince paste. This stuff is seriously fresh ta death and to die for! The owners are the geniuses behind Portland staple Lardo, so you know it was good. You can thank the Chinese, followed by the Italians, and then the Spanish for bringing this delicacy to the States. I'm always all about Asian food, dim sum, and buns; and the cherry on top of this stop was the lemongrass and kaffir lime leaf infused vodka cocktail! Full disclosure, I don’t really like cooked fruit. I avoid fruit pies at all cost and anything mushy makes me want to gag. 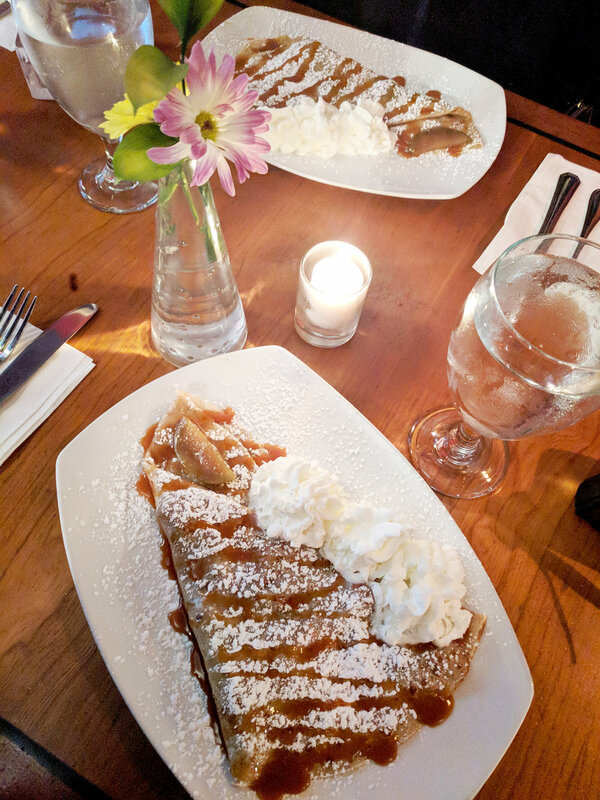 That being said, the crepe that we had featured homemade salted caramel sauce and baked apples and was SO good. Always made to order their crepes give an ode to the original buckwheat ingredient in this unreal mashup. The best way to end the night? Choosing your own pint at a PDX beer hall! Being able to choose whatever we wanted had me go with cider, since that is always going to be my jam over beer. 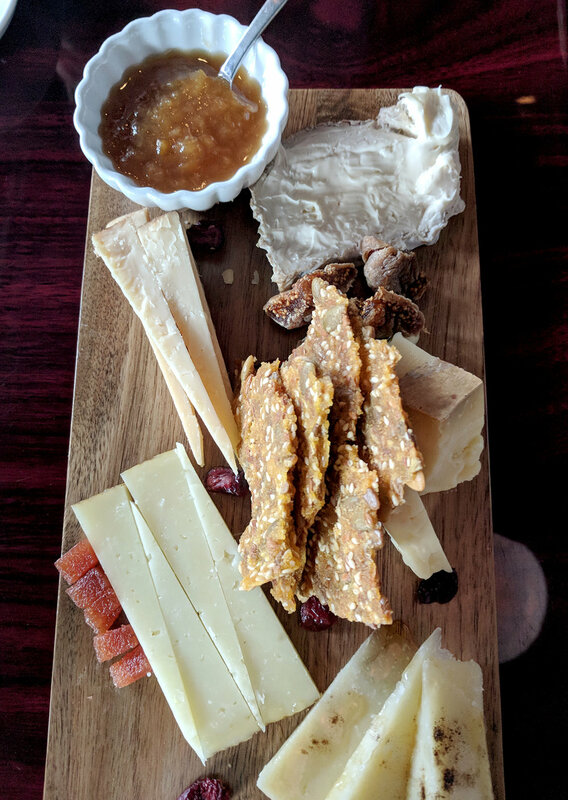 As the tours Lost Plate offers in Portland are a new addition they are offering a $20 discount per person – so you can stuff your face and drink to your hearts content for only $69! If you’re in Portland, or even China (jealous! ), head over to their website HERE and book up a tour asap! Because of how awesome the team at Lost Plate is they are offering all you lovely people a 10% discount on any of their Portland, China or Cambodia tours with the code '7dayweekeder'! Now if you really feel as though you must experience the touristy side of Portland you are more than welcome to do so, but I highly encourage you to think out of the box on your next visit (or if you're a local seek out these experiences) and change things up. It's a new season and these 5 unique things you must do in PDX this Summer will definitely be one for the memory books! I was a hosted guest of Oregon Helicopters, BrewBarge, Löyly and Lost Plate. Even though I was hosted I did the research on my own to figure out what the most unique activities in Portland are, and set up these partnerships myself. All opinions are my own and I really do highly recommend you add everything to your list for your next trip!